How you monitor and access your PSAP systems. The MantaProbe Series 2000 monitors critical PSAP elements. It generates alarms when things break, and provides secure, remote access for technicians who can fix problems. For NG9-1-1, The MantaProbe provides flexible LAN testing, alarms, and console port access to LAN switches and routers. For E9-1-1 and NG9-1-1 LPGs, the MantaProbe includes comprehensive serial port recording, analysis, and alarms with complete real-time remote access. The MantaProbe Client includes six full-duplex serial port data analyzers and four interactive terminal console ports. The data on all serial ports is recorded and can be viewed locally and remotely in real time. The data may be analyzed and alarms set based on ALI protocols including ANI/ALI timing, heartbeat anomalies, and selected character strings. In NG9-1-1, when Legacy PSAP Gateways (LPGs) are used to connect E9-1-1 PSAPs to NG9-1-1 Core Services, The MantaProbe can provide visibility to the legacy interfaces that cannot be monitored directly through the ESInet using NG9-1-1 monitoring and management methods. 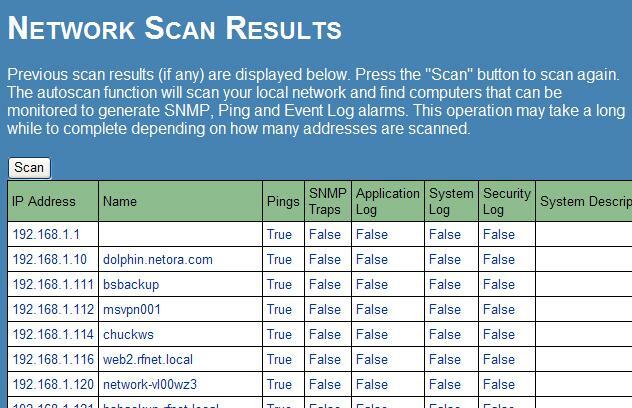 The MantaProbe can scan the local ESInet and find active devices that can automatically be added to the ping device database. Any devices accessible on the local ESInet may be added to the MantaProbe’s Ping Alarm Table. Each device may be configured with an alarm severity level of minor, major, or critical. When a device fails to answer pings within the configured thresholds, an alarm corresponding to the severity level is generated. There are 32 discrete alarm inputs included with each MantaProbe. Each input may be connected to a contact or RS-232 signal lead. The alarms for each input may be classified as a Minor, Major, or Critical level. These alarms are often used with UPSs that report their status with RS-232 signals. They are also used to detect relays that most CPE vendors provide to operate alarm lights. Any serial port can be searched for character strings. The both the string sequence and alarm text are configurable. These alarms are often used to detect events on maintenance terminal or console ports. They can also be used to alarm on specific numbers or patterns in ANI or ALI data streams. SNMP traps sent to the MantaProbe can be evaluated, classified, and added to the MantaSystem alarm database. Ten ANI / ALI / Heartbeat alarm tests are built into the MantaProbe alarm system. Protocol exceptions may be classified as Minor, Major, or Critical.